ASV Sales & Service introduced Eurocomach Mini Excavators to Australia nearly 10 years ago, and since that time the name Eurocomach has taken the national earthmoving industry by storm. 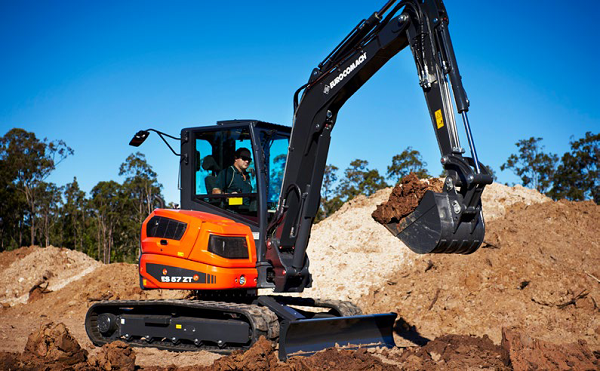 With a company history that stretches back to 1958, Eurocomach is the number-one supplier of mini excavators in Italy and it is one of the fastest growing mini excavator brands in Australia. Offering a diverse range of mini excavators from 1 tonne to 9 tonnes, Eurocomach has designed truly remarkable machines capable of taking on the most challenging construction sites. ASV Sales & Service has settled on three of the most popular models in the range as its core offering in Australia – the ES18ZT, the ES57ZT, and the ES85ZT. Each is engineered to deliver maximum performance, durability, efficiency and comfort, with the premium design that is often synonymous with Italian engineering; and all without the hefty price tag. Each machine is a stand-out leader in its respective size class, with unmatched key specifications and unbeatable performance. In addition, the Italian manufacturer locally sources most of the components of its world-class range of machines. Quality componentry and an impeccable build quality have become hallmarks of the Eurocomach brand. Engines supplied by Yanmar and Kubota are matched to premium quality pumps and motors by Casappa, Bonfiglioli and Eaton, with undercarriages produced by Italian supplier, Berco. This synergy between Eurocomach’s engineers along with local European suppliers results in a range of machines with quality and performance that is second to none. A key feature of the Eurocomach range is the true zero tail swing design. This ensures greater safety and productivity in confined spaces, removing the risk of accidental damage to the surrounding environment often caused by other conventional or limited swing designs. Despite the zero tail swing design, every Eurocomach machine boasts impressive stability, even over the side – a key design criteria of these Italian engineered machines. Outstanding hydraulic performance is another key feature setting Eurocomach machines apart, with intelligent load sensing pumps delivering excellent cycle times, high breakout force and unrivalled digging performance. Closed centre hydraulic systems with unique prioritisation and flow sharing designs allow simultaneous operation of all hydraulic functions, with no perceivable loss of performance. The latest generation of Eurocomach machines have numerous innovative design features and are packed with standard inclusions that are typically considered optional on other brands, which makes them exceptional value for money. Both the ES57ZT and the ES85ZT come factory fitted with every auxiliary hydraulic option you’re likely to ever need. Bi-directional high flow auxiliary piping is standard, along with secondary auxiliary piping for operation of tilting functions, a case drain, and even a special third auxiliary function that allows seamless integration of multiple attachments with simultaneous functionality. They even have a standard fuel filler pump with automatic shutdown, which makes refuelling on remote worksites a breeze. Superior operator comfort is another outstanding feature across the Eurocomach range. Despite the zero tail swing designs, Eurocomach machines are built with ergonomically-designed and impressively-spacious cabins that provide comfortable, work-all-day environments suitable for any sized operator. The larger machines in the range come standard with plush, climate-controlled operator stations which are second to none in the industry, featuring a premium Italian design that is sure to impress even the fussiest of operators. Multiple vents placed throughout the cabin ensure the operator stays cool and comfortable, and a comfortable Grammar suspension seat with multiple adjustments is fitted as standard. Cabins are very quiet, thanks to excellent sound insulation, aided by high quality solid steel body panels, which provide additional comfort to the sealed and pressurised operator station. In addition, the cabin is mounted on vibration dampening viscous fluid mounts, providing effective isolation and additional comfort. Joysticks controls are ergonomic and feature servo assisted fingertip proportional control of all hydraulic functions, including auxiliary flow and boom swing. What’s more, every operational control you need is right at your fingertips – digital displays, an AM/ FM stereo and the all-important joysticks are positioned to minimise fatigue throughout long hours on the job. For the ultimate in compact performance and transportability, the ES18ZT is your best option. With a 15hp Yanmar motor, the ES18ZT produces an impressive 36litre/min of hydraulic flow. With more than 2300mm of digging depth and 3900mm arm reach, plus the safety benefit of its zero tail swing design, this is a perfect option for many small-to-medium jobs. The ES57ZT is engineered from the ground up to perform head and shoulders above most machines in the 5-tonne class. With a unique cast super-structure that eliminates the need for bulky counterweights, ES57ZT weighs in at 5600kg. Powered by a 46hp Kubota, the ES57ZT has a load sensing closed centre hydraulic system with premium Casappa pumps delivering 140 + 17 lpm of unstoppable hydraulic capacity. The ES85ZT is similarly impressive, weighing 9000kg with rubber tracks, without any additional counterweights. It is powered by a 63hp Yanmar engine, with a pump capacity of 185 + 20 lpm making it a standout choice for demanding hydraulic work. A dig depth of 4270mm and 6850mm arm reach combine to produce the industry’s best performing excavator in the 8-tonne class. 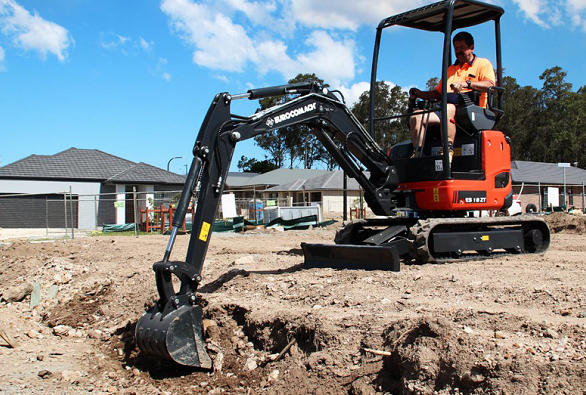 The Eurocomach range of mini excavators offers an ideal solution for virtually any task requirement, large or small. If you are in the market for a true zero tail swing mini excavator that’s big on comfort, performance and safety all at a lower price than most competitor machines. Take a look at the Eurocomach range today visit http://www.asvaus.com for more information, or call 1300 837 391 to arrange an inspection or demonstration.